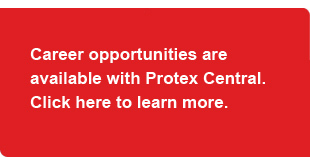 Protex Central is an industry leader in Fire Protection Systems, Security Systems and Life Safety System Services that help protect people, property and assets throughout the Midwest. Protex Central has been helping protect people and property since 1966. They strive to deliver service that exceeds their customers’ expectations through offering a broad range of life safety services and programs designed to meet the specific needs of each facility they service. Their highly trained staff can service all types of fire alarm, security or suppression systems, regardless of the size, complexity or system manufacturer. Shawn Mullen, SET, Protex Central’s Chief Energy Officer & President, leverages over 30 years of progressive management experience in specialized protection solutions integration industry with heavy emphasis on clean agent fire suppression and security systems to successfully solve customers’ most challenging applications with integrity, professionalism and excellence.